It’s only five weeks until the big day itself and we’re busy making lists, checking them twice and working out how best to spend our budget this year. At Sacrewell we’ve got a fantastic range of decorations, gifts and seasonal treasures all reduced to clear, as well as our usual stock of great games, toys, stocking fillers and tasty treats. 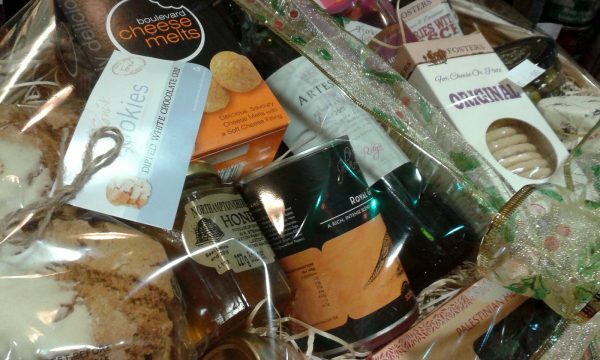 Why not pick up a Christmas hamper while you’re here filled withlocal produce and Christmas cheer; or order your gammon, sausage meat and chipolatas from our local supplier Grasmere Farm, ready to be picked up when it’s convenient (speak to one of our reception team for more information). We’re even open on Christmas Eve for those last minute bits and bobs so why not combine it with a visit to the Playbarn (it’s certain to wear out even the most persistent and excited little elf).